Noob's Choice Awards 2015: The Winners! 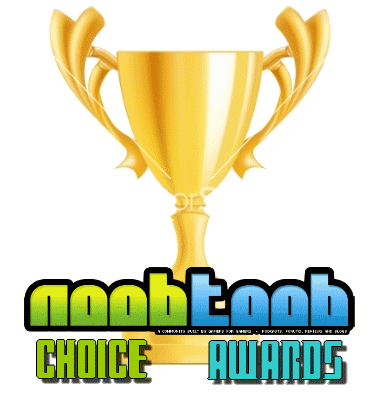 It's been another excellent year for the Noob's Choice Awards. I'd like to thank everyone for taking the time to submit their votes, and I hope we can all be pleased with this year's results. I know I am. Without further ado, let's dive right in. Some categories didn't really work out, and will be removed from the Awards in the future. As with Worst Developer as it just feels kind of...dickish? Onwards! And there you have it, the Noob's Choice Awards for 2015! So basically From Software is the best. Tell me something I didn't already know. We can do the 2016 Game Awards right now. Dark Souls 3 wins everything, Uncharted 4 gets whatever is left over. There. Done. Also, I think some people don't understand the difference between "worst" and "most disappointing". Just a hunch. I'm just happy Rocket League won something. And you did predict Dark Souls II winning again this year, so. I don't think battlefront is the worst game by far. Most disappointing yeah. Worst. Hell no. Has no one played The Order 1886. What were the votes like this year? Did we get a good showing? Thanks again Manio. Great work. Nice work pulling this together, Manio! Thanks for doing this Manio. I expected Bloodbourne to do well but I'm surprised to see Halo 5 do well as I've not heard many people talk about that game on here. @Epike lol! That would be something, an action game with lots of shaky cam combat. So, yeah Bloodborne sweeped. Would it be premature to say that Dark Souls III will probably sweep next year too? Witcher 3 was really good, glad to see it get a little love, although I am surprised it did not win best graphics, on PC maxed out it was cuh-razy. Aesthetically it was just incredibly consistent and masterful in its mood and worldbuilding, everything from the people to the music to the sound, it just felt like a cold, heartless world without ever coming off as cheaply so or crude for the sake of crude. But the most surprising for me is Monster Hunter. I didn't know anyone else played it! So good. MH is kind of the Souls series before the Souls series came out. Tough, a bit archaic, deep. This year's installment was no different. Battlefront being trashed... yeah. Bad. Such a bummer! I return from Canada to find no FIFA on the list. Much sadness. Monster Hunter Cross was great. Possibly the best in the series so far. Maybe not as accessible as 4, but for experienced hunters, it's very awesome. Unfortunate the series has gone full handheld though. Thanks for doing this. Nice one @Manio . Nice to see Konami get worst develepor.